A public sculpture for Bishopsgate in the City of London (40/41). 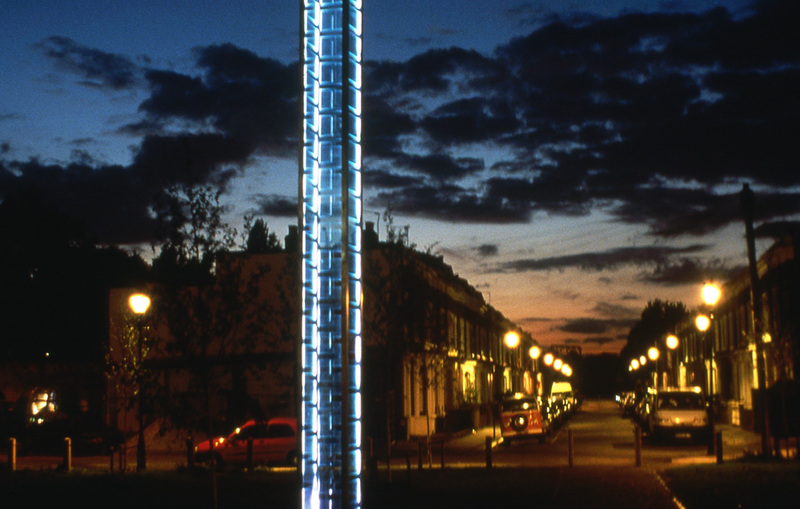 Shown in 2001 as part of Sculpture In The Park, Mile End Park, London (42). 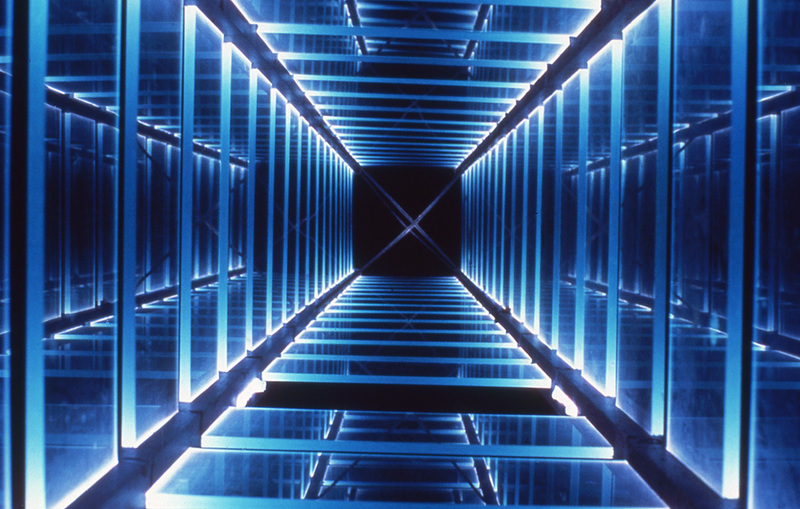 Stainless steel, glass and fluorescent tubes. 8 metres high. Acknowledgments: Eric Reynolds, Matthew Lloyd. 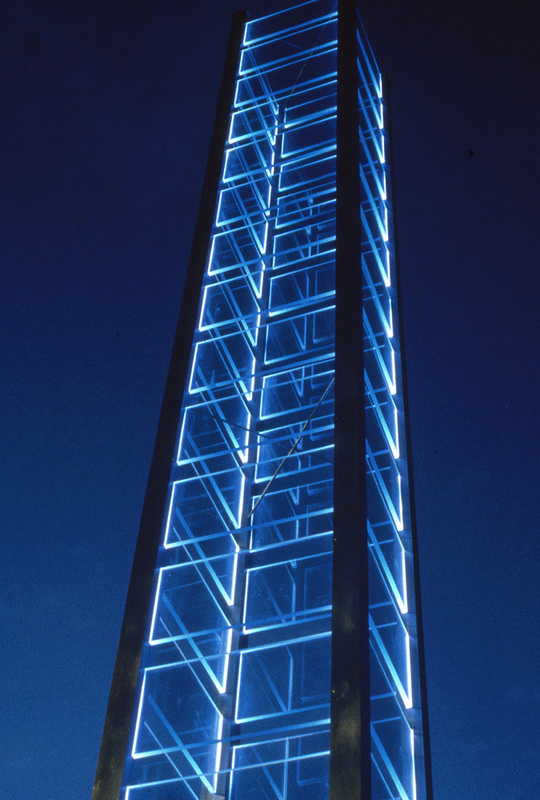 Originally commissioned for a site on Bishopsgate in the City of London, adjacent to Spitalfields market. 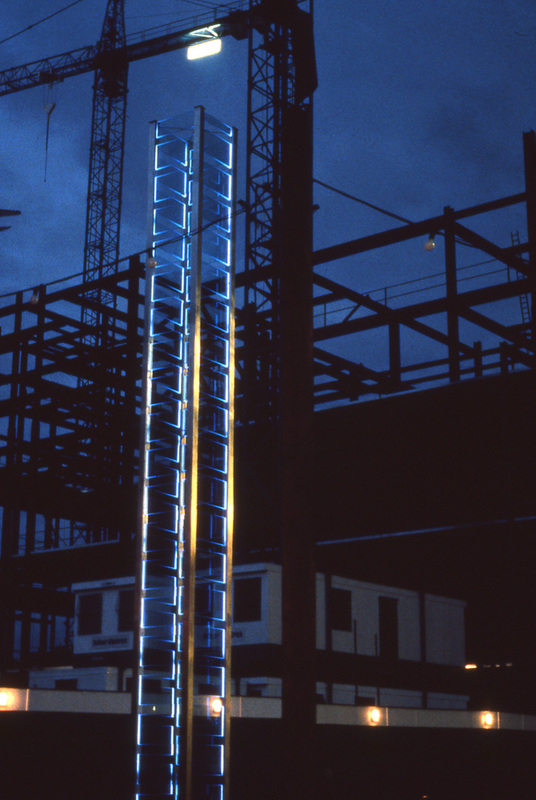 It developed out of the earlier ladder works and seemed to slide right into the world of its steel and glass relatives, whilst still retaining a quiet quality of engagement and marking its own presence in a competitive space. Unfortunately it had to move, but it’s new owners allowed it to stand in Mile End Park, where I was surprised to note it did not seem out of place or diminished by the new context, and IÕve recently been to its likely final destination which is a potent landscape of sky, water, decayed industry and new energy at the mouth of the River Lea at the point where it flows into the Thames.